From the Head Creative at Comedy Central’s Creators Program, and former senior writer at Funny or Die and artistic director at the Upright Citizens Brigade Theater, a collection of absurdist, hilarious stories and essays on relationships, technology, and contemporary society. 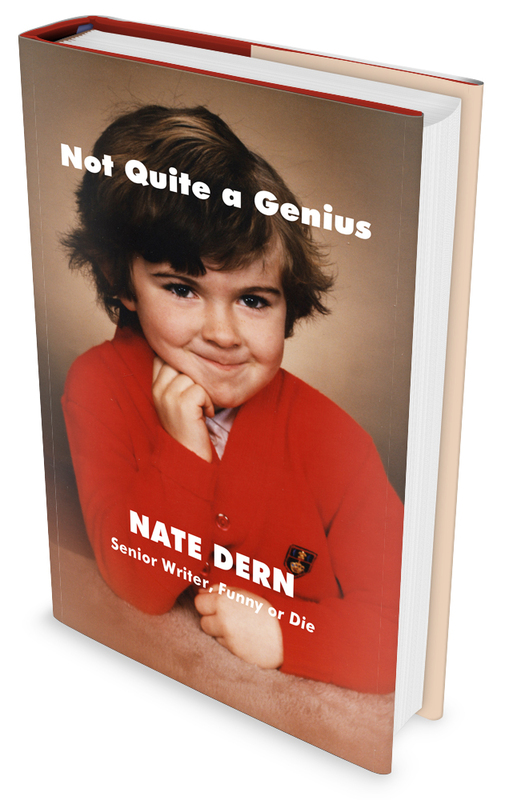 Nate Dern grew up in the mountains of Evergreen, Colorado, where he enjoyed running on dirt trails and reading Kurt Vonnegut. Formerly the artistic director at the Upright Citizens Brigade Theater and the news editor at Funny or Die, Dern is the Head Creative at Comedy Central’s Creators Program. He lives in New York with his wife and their cat, Renly Baratheon. Not Quite a Genius is his first book.